Born from Motocross. Bell might have had an unfair advantage in creating its new top-of-the-heap full-face bike helmet. 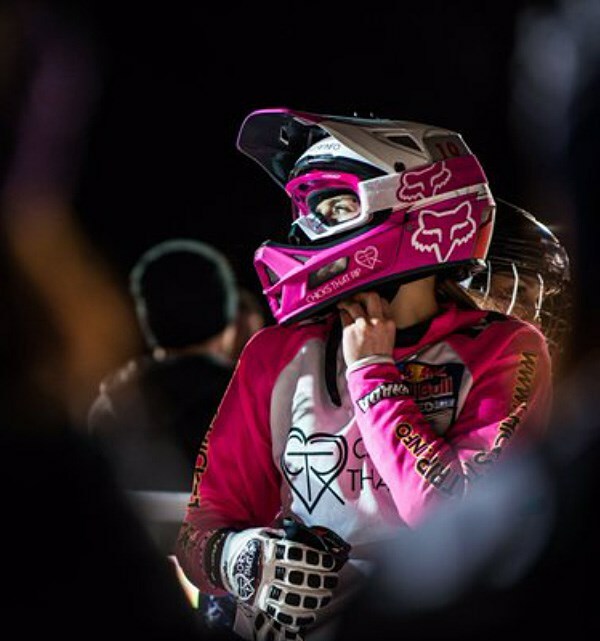 You see, when you have the world's best motocross helmet as the prototype (the Bell Moto-9 was Transworld Motocross' Product of the Year for 2011), your starting point is already laps ahead of the competition. But the Full-9 is by no means a dumbed-down MX helmet - it's a bike-tuned, ground-up, purpose-built masterpiece. With the help of World Cup downhill champ Aaron Gwin - a guy who knows his way around not only a DH sled, but BMX and motocross bikes alike - Bell ran through a myriad of iterations before arriving at the perfect blend. Front-and-centre for Bell designers was not just meeting minimum certifications, but incorporating the most advanced, relevant safety enhancements available. That's why they made the Full-9 compliant with the ASTM Downhill (F-1952) and BMX (F-2032) standards in addition to the regular CPSC and CE bicycle helmet standards. It's also why they ported over the integrated accommodation of the Eject Helmet Removal System and magnetic cheekpads from the Moto-9. These two features allow the helmet to be gently removed from a rider's head, reducing the potential for secondary injuries. The helmet also ships with a pair of slick, integrated camera mounts - one for GoPro and one for Contour cameras - to further meet evolving rider needs. The camera mounts click into a specially designed top vent, eliminating the need for sticky tape or hook-and loop material. Co-moulded with a rubber pad to reduce vibration and noise when riding rough terrain, the mount was also built to breakaway, reducing snag points in the event of an impact. Add in a full-carbon shell for light weight, and Bell's new Overbrow Ventilation intakes which integrate into the proven Velocity Flow Ventilation system to keep you cool, then and top it off with amazing graphics and legendary Bell fit, and you have quite simply the world's best BMX and downhill helmet bar none. This is my first full-face helmet and it is much more comfortable that I was expecting. I am not an expert regarding features/build quality etc, but an experienced motorcyclist friend who works in a shop selling motorcycle gear (including helmets of course) was highly impressed when I showed him! Expensive, but you get what you pay for as they say. 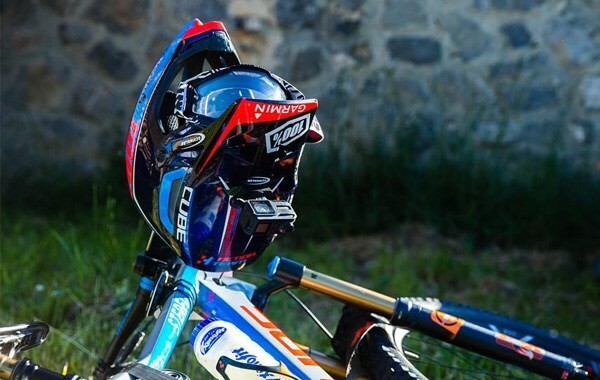 Full face helmets are designed for gravity mountain biking and BMX racing. With a chin bar and a thicker core than open face MTB helmets, full face lids are designed for high speed riding on challenging terrain. When it comes to protection, all our MTB helmets meet the minimum safety standard (CE EN 1078). Most full face helmets go much further than this with thicker cores and more durable shells as well as enhanced safety features like dual density cores and MIPS. Some full face helmets are designed to meet the international ASTM DH standards. 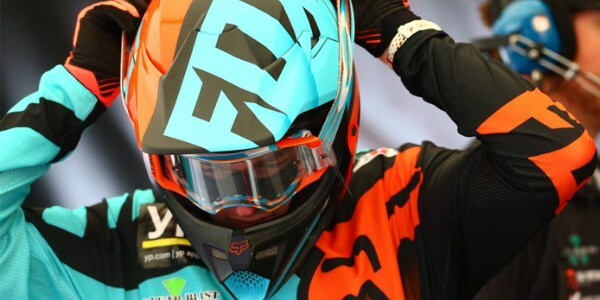 Full face helmets can be roughly split into two types; downhill or DH helmets and enduro helmets. 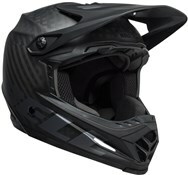 Downhill helmets look similar to off-road motorbike helmets, with lots of internal padding and very few vents. Enduro helmets have a lot more venting and look like regular MTB helmets with an added chin guard, which is sometimes removable. The chin guard on enduro helmets is especially well vented to make breathing easier on climbs and traverses. 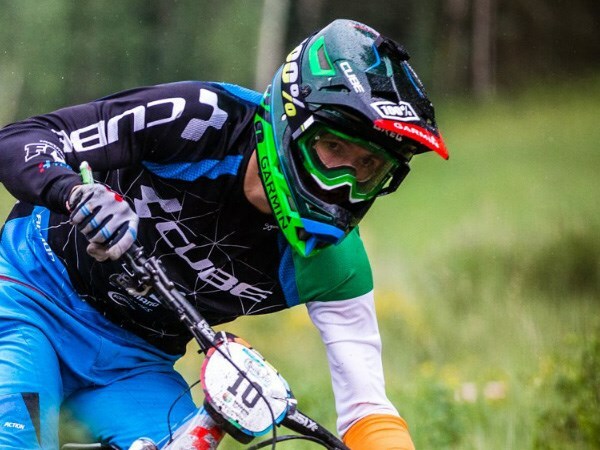 This isn’t a definitive definition as many enduro racers wear DH helmets, while enduro helmets are becoming more popular with trail riders. The shell is the outer covering of a full face helmet. 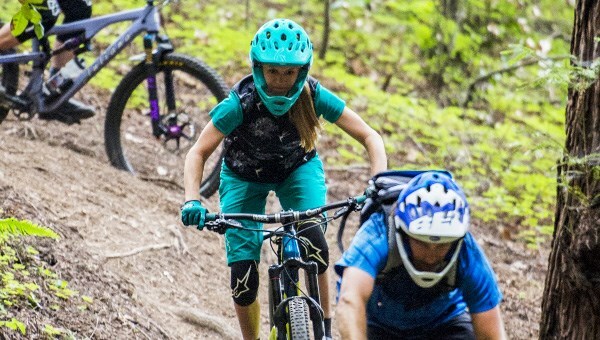 As well as the standard polycarbonate shell found on regular mountain bike helmets, full face lids sometimes features a fibreglass or carbon shell. The shell is moulded to the core and completely covers the helmet including the chin piece. The very best full face helmets have a carbon fibre composite shell that is lightweight as well as offering the best protection. Sitting directly under the shell is the Core. Like most cycling helmets the core is usually made from EPS foam. Sometime on high end DH lids EPP foam is used as this offers better multi impact protection. Multi density foam cores are sometimes used for improved impact protection at various speeds. 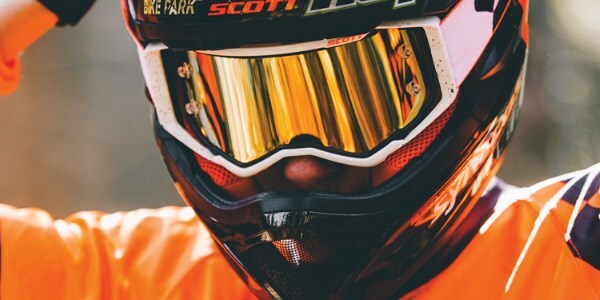 While the shell of DH helmets strengthens the core, Enduro style full face helmets sometimes feature additional strengthening elements to compensate for all the extra venting that break up the integrity of the shell. A Multi-directional Impact Protection System (MIPS) is fitted between the helmet core and your head. This slip-plane technology reduces the rotational forces that result from certain impacts. 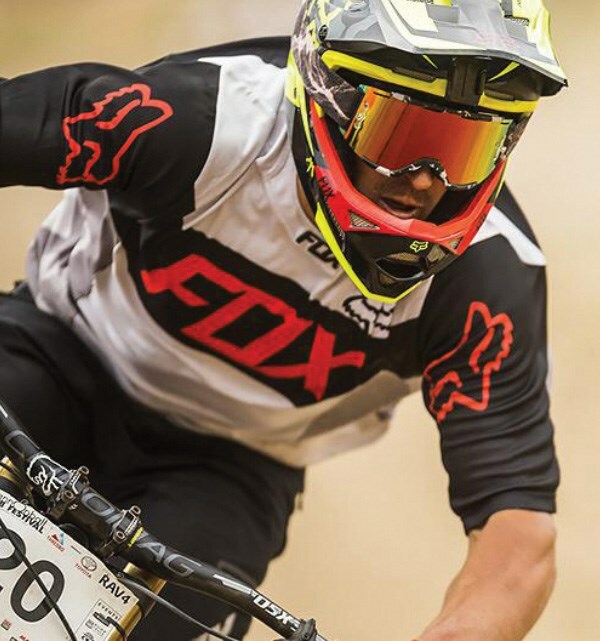 Integrated into the fit system, MIPS is found on high-end MTB helmets and takes head protection to the next level. Some brands offer different slip plane technologies, like SPIN, that do the same thing as MIPS. Full face helmets have two different fitting systems. Downhill helmets have similar fitting to motorbike helmets. Here the liner is extensive. It extends all the way around your head, with cheek pieces in the chin guard, so it grips your head effectively without the need for an adjustable fit system. Enduro style full face lids don’t tend to have so much padding, and may use an adjustable fit system like regular cycling helmets. This is sometimes supplemented with cheek pads for a firmer fit. Chin straps are there to keep your helmet in place even if you take a knock on the head. Again, there are two ways to do this; DH lids use a more secure D-ring style strap similar to those found on motorbike helmets, while enduro lids use a snap fit buckle. The padded liner is the bit of the helmet that connects directly to your head. If you ride a lot, then features to look out for are removable, washable pads made from quick drying, hydrophilic and anti-microbial materials. These will help keep your head smelling sweetly on every ride. Venting helps to keep your head cool while you ride by allowing air to move over your head as you ride. The venting on downhill helmets is minimal as you will be moving relatively fast when you ride which greatly improves airflow. Enduro style full face helmets have much more extensive venting as these are designed for climbing as well as descending. The rule of thumb for cycling helmets is that more and/or larger vents will increase the amount of airflow over your head. Vent position matters too. Vents close to the brow offer cooling where you need it most while vents in the chin guard are designed to aid breathing. Internal airflow channelling draws air in and circulates it around your head for more efficient cooling. 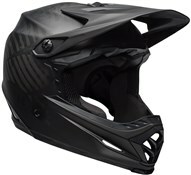 Enduro style full face helmets sometimes have removable chin guards. This means that you can take the chin piece off for extra cooling and easier breathing when climbing. Removable chin guards may not offer as much protection as a fixed one, although some full face helmets with removeable chin pieces are ASTM DH certified. All full face mountain bike helmets have a visor to help keep the sun or rain out of your eyes. Most full face lids have an adjustable visor so you can push it out of the way for maximum visibility when you don’t need it. Full face mountain bike helmets are all designed to work with goggles. However, as goggles are different shapes some will work better with a particular helmet than others. Some full face lids are designed to be compatible with specific brands or types of goggles but will usually work with others too.